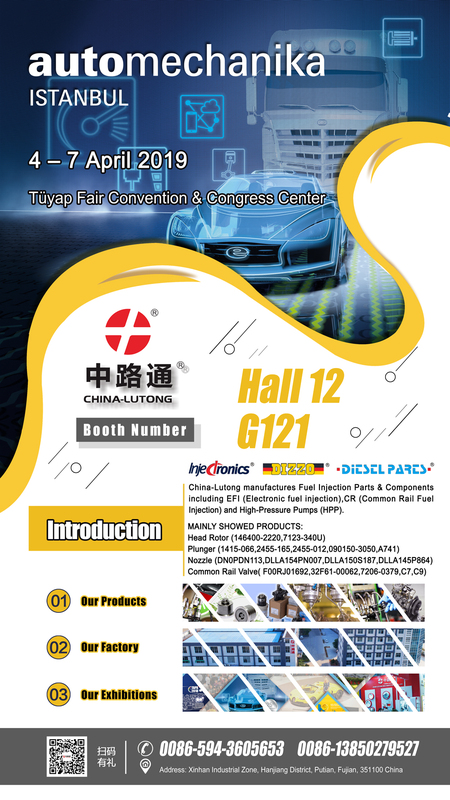 China-Lutong would like to invite you to visit our booth (Stand: G121 in Hall 12) at Automechanika Istanbul 2019 in Istanbul, Turkey. The Fair venue is T��yap Fair Convention & Congress Center. 13th International Trade Fair for the Automotive Industry, will be held from 04 Apr to 07 Apr 2019. Automechanika Istanbul is the right platform for you. Bringing the major players in the Turkish and European industries together, this fair has become a meeting point, for Turkey as well as for the surrounding regions. It brings together all relevant professionals from the Automotive Manufacturing, Distribution, and Repair sectors in the region and it provides opportunities for Enterprises to step up in the market. Please contact China-Lutong's International Sales Manager Dennis Shi for more information about this event. Looking forward to seeing you in Istanbul, Turkey.